To capture the essence of corporate social responsibility and to employ data to influence consumers and investors, Aflac developed and executed the first Aflac CSR Survey, which was used to not only generate media interest that would show Aflac in a positive light to public audiences, thereby improving reputation, but was also used to shed light on the importance of CSR to the C-suite and internal employees. 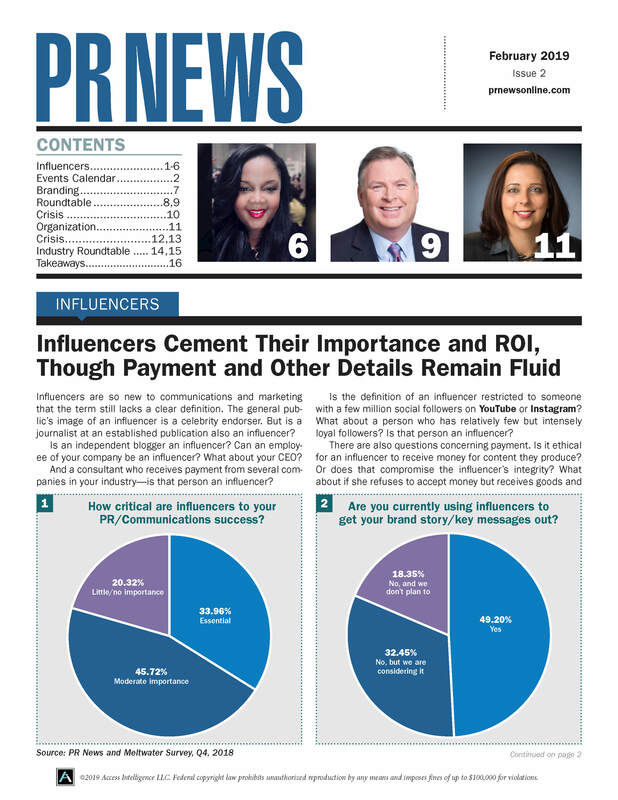 The results, which came out in late 2015, were published on Aflac.com and shared via several interviews and bylined articles as well as infographics; a satellite media tour with Aflac senior vice president of corporate communications Catherine Blades and Tim Erblich, CEO of the Ethisphere Institute; and a media tour in New York City with Barbara Corcoran of Shark Tank fame, including numerous tweets and Facebook postings to support the media day. The year 2015 saw an increased focus on philanthropy to improve the company’s reputation in citizenship. In celebrating the milestone of $100 million reached in contributions to the Aflac Cancer Center in Atlanta, while at the same time celebrating the company’s 60th anniversary, Aflac’s team helped publicize a “Duckprints” event at the Aflac Cancer Center capitalizing on the celebrity appeal of actor/comedian and game show host Jeff Foxworthy, along with the presence of Aflac CEO Dan Amos—and included warm stories from children and families at the Cancer Center to secure media coverage. Leading up to the announcement of the $100 million milestone, a social media campaign was conducted that highlighted Aflac sales agents via vignettes called “Why I Give,” which also enabled the company to promote its sales agents as philanthropic individuals who contribute $500,000 each month to the fight against childhood cancer. Finally, in September 2016, Aflac became a sponsor of CureFest, the largest gathering of pediatric cancer supporters in the U.S.